I suppose I should not have been surprised by today's vote at the FIA EGM, but I was genuinely hopeful that the delegates would see how much damage Mosley's continuing tenure is doing to the organization and to motor sport. How easy it was to forget the delegates' previous record of craven submission to their leader. Now that Mosley has survived the vote, our thoughts turn to what happens next. Splits become inevitable and the German motoring organization, ADAC, has already reacted with a statement that it will have nothing to do with the FIA as long as Mosley remains in power. The Automobile Association of America, another huge organization, has also expressed its disappointment with the decision and will announce its intended action in due course. Even at this early stage, talk is of a split away from the FIA. "The people I deal with are commercial people, manufacturers, sponsors and teams. They want peace and they want to get on with the business and the sport. Max doesn't care - he's not commercial - he hasn't got one single dollar invested, so he doesn't give a stuff"
Even if the delegates are not aware of the inevitable results that will follow their vote, Mosley himself is - and he has clung to power in spite of that knowledge. This alone is clear proof that the man should not be president of the FIA and should never have been. His interests are being put above those of the FIA, the motoring organizations and motor sport, including F1. It is an intolerable situation and cannot continue for long without huge and far-reaching results. It should not be imagined that the split between Mosley and Ecclestone will go away now, either. Bernie has identified himself as an important counter force to Max and will not be forgiven easily. After years of running F1 as a team, the two most powerful men in F1 will begin a struggle that can only be more damaging to the sport. I suspect that we are watching the end of the FIA as a governing body. Once the major motoring organizations have departed and set up a competing body, the F1 teams are likely to renew their aborted attempt to break away from an organization now revealed as divided and unable to manage its own affairs, let alone those of motor sport. Ferrari may be important to F1 but it is not so important that it can be a series all on its own; if the other teams depart, Ferrari will have no option but to follow. Mosley may think that he has brought an end to the saga with this vote but this is merely the beginning. Thanks to him, the political struggles will continue and all those with a stake in the sport will find that the peace they desire remains unobtainable. The irony is that, had Max done the right thing by resigning in the first place, we might have been able to retain at least a shred of respect for him; as things are, he is revealed as a man without honor determined only upon his own retention of power. Don: The teams will, I suspect, hang on to see which way the wind blows. If it becomes clear that the FIA is falling apart, I have no doubt that the teams will set up their own governing body and leave the FIA to their mess - they have threatened this before. CVC will want the FIA to remain in one piece. If there is the serious disruption that I expect, F1 will be affected, perhaps lose its teams, and there will be no way for CVC to recoup its huge investment in the commercial rights. This is undoubtedly the reason for Bernie's open opposition to Max - Bernie is employed by CVC, after all. It is the on-going struggle that I think we will now see that I am most concerned about. While it would be nice to think that the Motor Sport Association will have their wish come true (they stated today that they want to move on from all this), I fear that further disruption to the FIA and the fallout between Bernie and Max growing will only damage Formula One. Thankfully, most fans of the sport will overlook the political shenanigans. But for the few of us who really appreciate the finer details of everything that happens within the sport, both in the front-of-house and in the kitchen, so to speak, what could happen between now and the end of the year could really hurt the sport and it's medium-term future. Agreed, Ollie, we have some dangerous times coming up, I think. I just hope that there are sufficient pieces left to pick up after the elephants have finished their squabble. The FIA is corrupt to the very core, and it's no surprise to see Max, as the lead corrupter, stay. All this, while the major racing bodies have already refused to conduct business with him. I've always suspected the 2007 WDC was a Max and Ferrari fiddle, but I have no doubt left in my mind that Kimi's WDC is nothing more then a political deal to destroy McLaren for various reasons. The FIA should be dismantled, and the major manufacturers need to create a body that is both transparent, and accountable for all its actions. So Max stays. Sad. Stupid. Who now holds the upper hand in the current negotiations between the FIA and B. Ecclestone? Who can say, Don? We await forthcoming events with trepidation. The CVC question is interesting. They have probably just realised that their whole investment is reliant on Max's whims. If the FIA falls apart which it will if Max remains in position for long then the odds must be on a breakaway series if only because of those clubs who stand to lose their races. Ferrari stood by Max (as they have always done) while BMW, Mercedes, Honda and Toyota spoke out against them. Considering Max was pro-Ferrari before what chance do any of those have of getting a fair hearing now? So it is in their interests now more than ever to have a separate championship. I would not be surprised to see Bernie setting up a new championship with CVC as a hedge against the loss or loss of value of F1. The one strange thing about Monaco is that Max wasn't pictured in the Ferrari pit. Clearly there is a degree of mutual backscratching going on but Ferrari are not prepared to be seen in public with him. I think CVC must try to ensure the FIA's survival, if they are to protect their investment. That means Max has to go and they will try any way they can to get him out. Remember that they hold the purse strings - and that gives them considerable power over the FIA. Max may yet regret having sold the sport's birthright for a mess of potage. 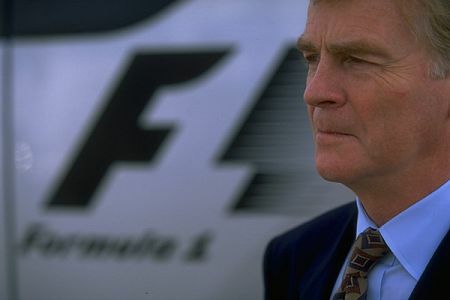 Clive do CVC pay an annual amount to the FIA? I thought Bernie paid a lump sum up front and nothing else. Bernie paid Max $350 in one lump sum in 2001 to buy the media rights for 100 years. He then sold 75% of these to the Kirch Group (which went bust). In 2006, he sold his remaining 25% to CVC (and the banks inheriting Kirch did the same with their shares). The FIA didn't get a penny of that sale, either by lump sum or in instalments. However, CVC does have to pay $2.9bn to some other banks to pay off the money it borrowed to effect the second sale. I cannot find anything to say that CVC pays the FIA for anything else. It may be that Bernie pays the FIA something, but that would be as an individual and not called for in any agreements. It underlines how foolish it was of Max to sell the rights for so little money. I was hoping this would be an end of the saga, but clearly it was only the end of Act I. Does anyone remember any details of the rumoured $300 million that Bernie payed to Max? For one, i want to state that i'm deeply regretful for what has been decided today. This is clearly one of the greatest tragedies in the history of motorsport. It almost brought tears to my eyes when i heard about it on BBC. But, as motorsport is the biggest passion i have, i can not accompany you to say that Max never should have been elected as president for the FIA. That's not an appropiate measure of his value to the sport. The only thing i find regrettable is his inability to quit in time before people get tired of him and before his best judgement gets lost. He has done many good things over the years, mainly in the safety department, and as a consequence saved us numerous drivers lives in the process. To say such things is just to neglect history, and to do so is a good way to damage the future. This is exactly what Max has done in the last months, not accepting that he has reached the end of the line and had to exit the train. Instead he tries to forcebly turn the train around by hand, and continue his trip. Anyone in his right mind can se that this is more or less doomed to begin with. And not to listen to the spectators and give up in time before your back breaks i half is not very thoughtful. Max should have gone before the last time he was reelected, that would have saved us a lot of trouble. There's one other thing i reacted to in your post, and that is about the importance of Ferrari for the sport. Even here i have to disagree. Yes, Ferrari are important for F1 as it is the team with the absolutely largest fanbase. But that is just important for the commercial side of F1, and of course Ferrari have had a big role looking at history to. But from the FIA side of it i think that the way they have treated Ferrari is completely wrong. They allready is a strong team with a strong history and good drivers and good financial backing. So why should they be treated different than any other team? I think Formula 1 predates FIA but up to now I thought that F1 was something that belonged to FIA. I suppose that it is possible for F1 to exist while ignoring FIA's collapse. I wonder what would come of other forms of motorsport, though, like WRC or world touring cars? The FIA doesn't own F1, but its right to govern F1 is enshrined in the Concorde Agreement. Without that, technically it only rules on its own say-so (this is part of the reason why I am sure the old Concorde Agreement has rolled over rather than there being none at all at this time - the agreements the teams made with Max were contingent on there being a Concorde Agreement). However, you can't have F1 governed by a non-existent organisation. While the FIA still has power in F1 up until that point (or the Concorde Agreement gets changed, which realistically cannot happen until the customer car agreement is resolved), the total collapse would give F1 its freedom. Technically, Formula 1 belongs to the Formula 1 Group and therefore (eventually) CVC. WRC and world touring cars are in more danger, because they are more dependent on the FIA. I suspect that an ad hoc structure could be compiled if necessary, but I doubt that every series would manage to latch onto it. grandprix.com carried the story at the time of Bernie's generous donation to Max of $300 million in 2004. Unfortunately I have searched their site and cannot find it. I found it mentioned briefly on a couple of forums and then on the following site. The quote below comes from the page linked. "In 2004 there was certainly one great change in Mosley’s life when he finally became independently wealthy. It is believed he received a gratis payment from Bernie Ecclestone of US$300 million as a token of his appreciation. The influx of money signalled a move to the tax haven of Monaco. In England he would have paid 40 per cent tax on the windfall; in Monaco nothing. So in March 2004 Mosley made the decision to relocate there from London. But instead of coming clean and saying he was leaving England for tax reasons, he concocted the most amazing (and untrue) story: he claimed to have been advised that a fatal accident in a race event under FIA jurisdiction within the European Union could result in his arrest. It followed the introduction of a new European arrest warrant. Mosley said: “I have been advised that it would be prudent to relocate outside EU jurisdiction.” It was the most amazing nonsense, swallowed by just about everyone. Of course it would have been embarrassing should Ecclestone’s payment to him have become public. " Björn: When speaking of Mosley's record as FIA President, the improvement in safety is always mentioned. Steven Roy, who comments on this blog, makes the point that Max has done no more than anyone would on that score after Senna's fatal crash and, in fact, he should have acted much sooner. The corner that killed Senna had already nearly claimed the lives of Piquet and Berger in previous years yet nothing was done. I tend to agree with Steven's assessment on this and so cannot go along with conventional wisdom on Mosley's safety record. In other areas of the sport, Mosley's rule-making has been inept, prone to constant adjustment and just plain wrong. The "improvements" to the regulations that we have seen recently are merely cancellations of rules that should never have been made in the first place. So yes, I stand by my statement that he has been a very poor president and would add that many candidates now being suggested would have made a better job of it. The bias towards Ferrari so evident in the FIA began at a time when Ferrari were achieving nothing and many feared that the team would leave F1. Mosley decided to assist them to keep them in and, while wrong in terms of the sporting nature of F1, this was understandable at the time. Since then, it has continued, however, even though Ferrari now dominate the sport and this is where most criticism centres. You are quite right that the FIA should be seen to be fair and unbiased if it is to run such an important sport. Steven: That happened in 2004; is there any possible connection to the fact that the first split between Mosley and Ecclestone occurred only a year later during the Indy GP of 2005, d'you think? It may be that Bernie's "generous" donation towards Max's finances gave his sidekick the independence he craved and enabled him to follow his own agenda while quietly ditching his puppet master. I think there has been a secret war going on between the two for quite some time, evidenced occasionally by unexpected revelations from Bernie (his admission that the FIA favour Ferrari, for instance) and, more importantly, by the increasingly obvious fact that Bernie was no longer able to control his old friend. The latest events have brought this into the open. I hadn't thought of it that way Clive but you are probably right. Bernie could control Max because Mx wanted the money but as soon as it was handed over Bernie lost his hold and Max bit the hand that fed him. One of the first statements Max made on be elected was that F1 needed a strong Ferrari. That is probably the only thing he achieved. How true about Ferrari! And ironic that Bernie's generosity might have been the cause of his losing control of the government of the sport. The guy does one uncharacteristically unmiserly thing and it backfires so spectacularly on him! I have not commented for quite some time the reason for this is this whole situation. Those of you that know my posts' know how I feel about Max. I am not surprised about this decision at all. Since last year and the Spy incident with Stepney it became crystal clear that there is some type of arrangement, beyond worship mongering, with Max and Ferrari. This was confirmed by Todt's backing him in this affair. I have read alot of posts that say that his private life is privite. But HE is NOT private so anything he does is not private. Ones sexual mores are a part of the person. So the only conclusion that we can make is that some sort of compensation is being given to Mosly from Ferrari. This I am sure of. He could not have survived this vote without Ferrari's support. Ferrari on the other hand is looking at it's bottom line. They have an inside man on the top and they are not willing to lose it. The problem here is that no one at Ferrari actually asked the question of "what will the future of F1 be like after the confidence vote" maybe some actually thought that things eventually will go back to normal. I can not stand for that. Do I care that Max did improve safety? yes but in todays environement Max did not have the monopoly on car/driver safety. I can think of a number of well qualified people in F1 that would have done a better job on the safety issue. The sport is now split and we as fans are waiting for the other shoe to drop. This has already gone on for far too long and must end. We (fans) see this but Max and his followers do not. No one respects him and the other racing groups are laughing at US!! This situation is not good for the health of the sport that we truly love and enjoy. The more I think about this the angrier I become. This is supposed to be the pinnicle of racing but it is being run by amatures. Regardless of what the teams, FIA ard CVC think, WE are the sport, if we do not watch/buy there is no sport. I am trully tired of this --Max needs to go or the teams need new management. The latter is my choice. I think I may have just put another piece of the jigsaw together. Again this is another matter that probably only Alianora knows the facts about. Bernie gave Max a bung in 2004 which effectively led to their fall out. If my memory is correct it was in 2004 that Max announced he was not going to stand for re-election and then a few weeks later changed his mind. I often wondered why he made that statement as I didn't believe for a second he would not stand again. I always assumed that there were some political negotiations going but maybe Bernie was withholding payment and the threat not to stand was to force his hand. John F: I agree completely. It is infuriating to see F1 being ripped apart by men who have only their own interests at heart while the vast majority of fans can see what is happening but are never consulted. If we are watching the collapse of the FIA as an effective governing body, it may be that something better will rise from the ashes - that is the best that we can hope for. Steven: I love it - a swiftly-developing conspiracy theory! So Bernie would have wanted Max to stay on as president since he felt he could control Max - and Max effectively squeezed the money out of Bernie with his threat to stand down. Excellent, the irony is delicious - Bernie's lapdog gets what he wants (the money to do whatever he likes), while Bernie doesn't notice that the tables have been turned and he has become the puppet. Much has been said about Max being a lawyer but I don't think he'd last a day in a real courtroom before a real judge. His talents lie in other areas, methinks, and it may turn out that he is better than Bernie at Bernie's own game: the acquisition of ever more power. Max understands that money is useless unless you spend it, Bernie just likes to add up the figures. Clive, I can see where you're coming from. Money is a token of power of negotiable value. I do not know anything more about this bung than you do, because I did not know (or even suspect) it had happened. It just seemed so out of character for Bernie. The European Arrest Warrant excuse made less sense the more I thought about it, but I could not figure out what the real reason could have been, so I assumed Max just fancied a move and wanted to make the maximum political capital out of it. But I suppose if they were best friends at the time, so if Bernie was going to be unusually generous to anyone, it would be to Max. And yes, the consequences seem entirely plausible.